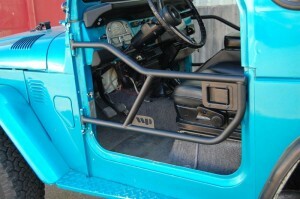 Enhance your offroad experience and replace your Land Cruiser full or half doors. Provides protection and a better view to the front seat occupants while off roading. The doors mount into existing door hinges, includes deluxe paddle handles. Black powder coated durable finish.